A short course on yoga and meditation by Doug Hayward | Review by Lucy Coleman. 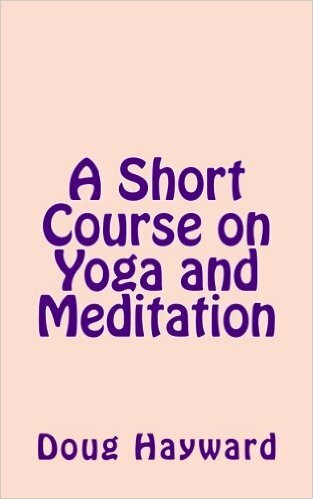 Amazon Review: When your mind won’t rest and your body craves attention, follow this short guide to yoga and meditation for relief. This course has a fifteen minute solution to help tone your body and relax your mind. You will find it also relieves some depression, improves balance, reduces stress, and awakens your sense of humor. Get mentally and physically healthy and stay that waty. Start today and send your regrets packing.